Built for reliability and optical precision, the Elite Tactical 5-15x40 Mil-Dot Riflescope from Bushnell features a Mil-Dot reticle positioned in the second focal plane. 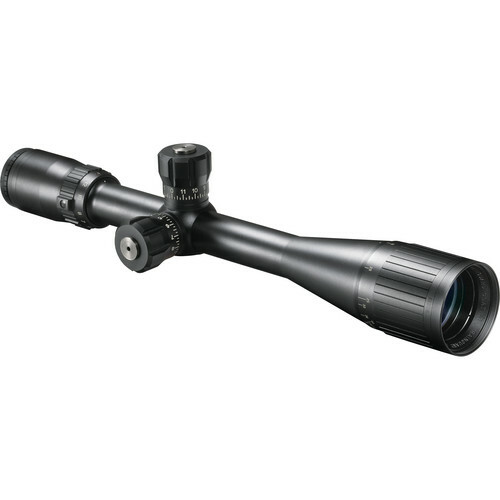 Elite Tactical scopes offer remarkably bright optics with excellent coatings. The lenses are fully multicoated and optimized to deliver outstanding light transmission. The exterior lens surfaces are treated with RainGuard HD - a water repellent coating that minimizes light-scatter from water drops, mist, fog, etc. This Elite Tactical sports a 1 inch main-tube that's purged with argon gas for all-weather reliability. That means optical clarity in any weather condition or situation. The construction of the Elite Tactical features classic clean styling with a "Blacked-Out" cosmetic matte finish. This optic not only looks good - it's also designed and built to endure the punishment of rigorous field use. In practical use - the Elite Tactical lives up to its name. Every spec and feature comes into play to deliver a bright, clear, and well detailed sight picture. In addition, the 0.25 Mil windage and elevation clicks work well with the Mil-Dot system. Finally - the package includes a 3 inch sunshade that offers extra protection against flare, glare, and the inevitable thump-bump in the trunk. Box Dimensions (LxWxH) 17.7 x 5.9 x 3.7"